The boy lollipop requested turkey schnitzel. He said I have not made this for ages. I use to cook this with all types of protein then keep some to make sandwiches for his school lunch box. 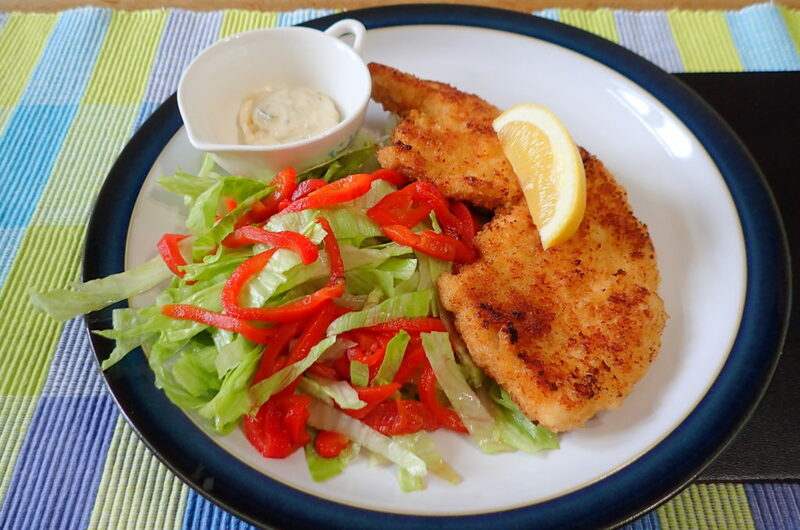 This is a very easy but children and adult pleasing dish. You can make a sauce for it but there is no need actually. 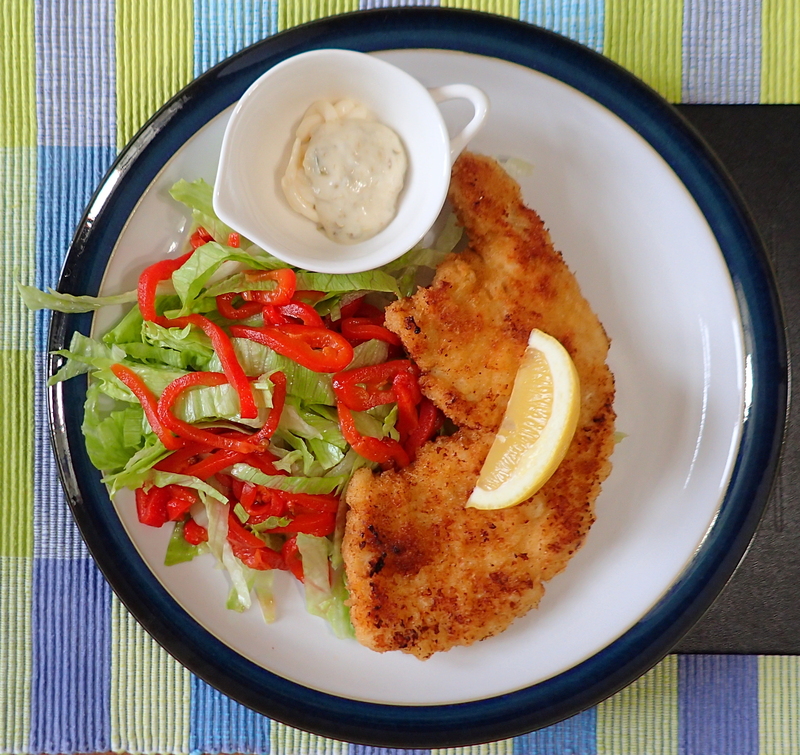 Children loves it dip in ketchup and adults preferred a squeeze of lemon and tartare sauce with a bit of capers. 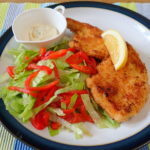 You can serve with potatoes, pasta or anything you like but I have always serve with a side salads. 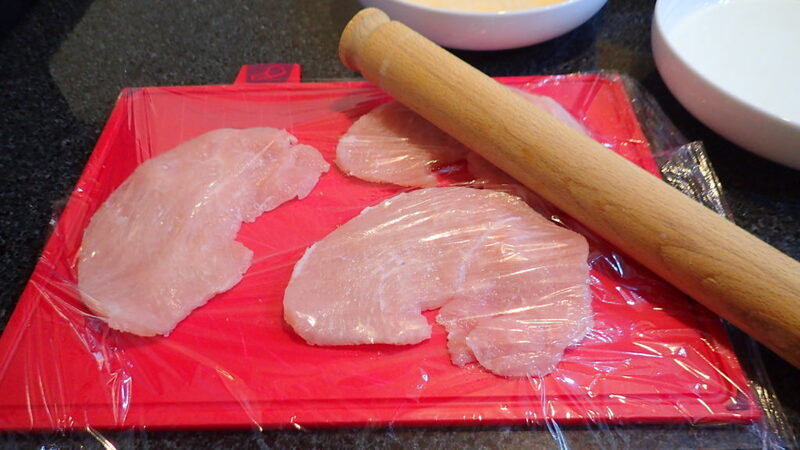 Lightly flatten the turkey steaks to same thickness with rolling pin if you do not have a meat tenderiser mallet. Then place onto plate 1 to soak for at least 15 minutes. 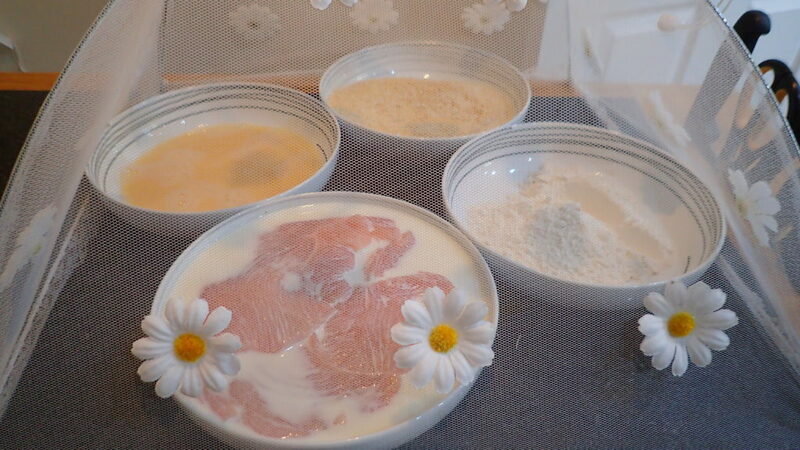 Removed your turkey steaks from milk bath, dust with your flour (Plate 2). Remove excess flours then dip into your eggs (Plate 3). 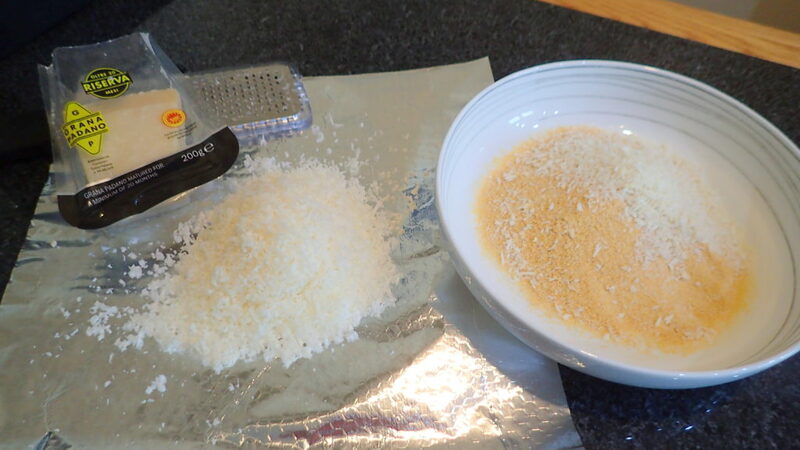 Lastly coat with the breadcrumbs (Plate 4) generously removing excess and place to rest before frying. Fry with a lump of butter. 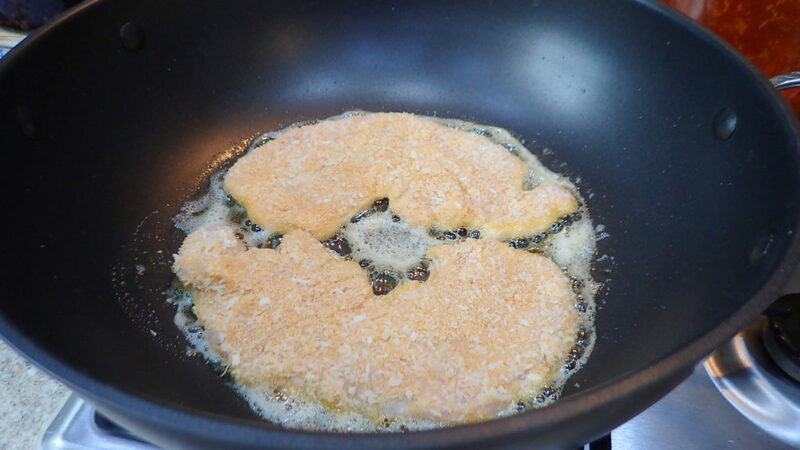 Fry each side on low heat for 2 minuted before turning twice over. 6 minutes was ample time for me. The turkey was tender and juicy. TIP – Leave turkey slices to room temperature. There is no need to keep back in the fridge. From start to finish this dish will take hardly any time, the longest being the milk bath. Of course depending on how many slices you are making as well as frying 2 slices take about 6 minutes. So if you do the milk bath before getting the other plates ready I feed my family of 4 with leftover for sandwiches (6 steaks) took me about an hour. 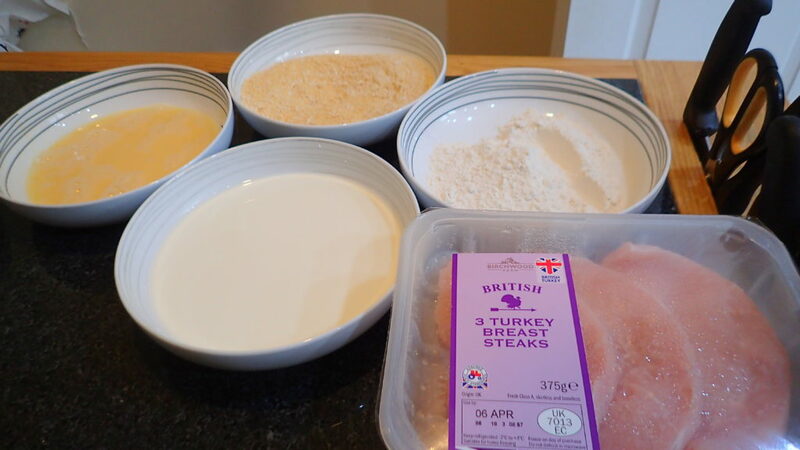 (Including washing up and cleaning up) TIP – you can substitute different types of protein. 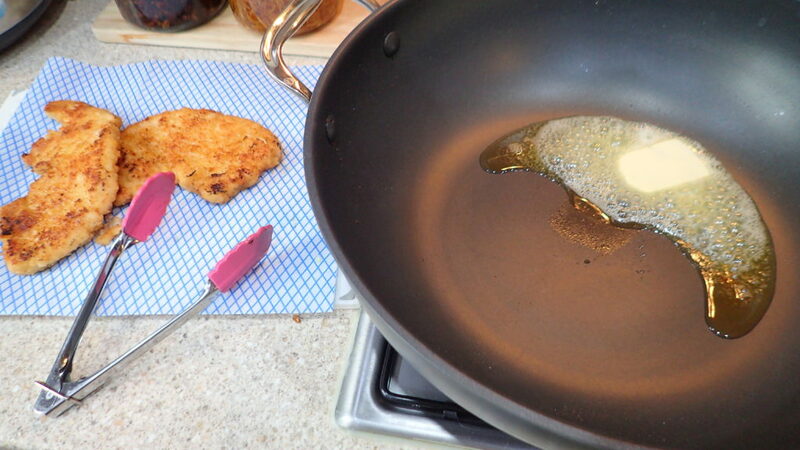 TIP to get a ‘clean’ look wipe the pan each time after frying with kitchen roll.